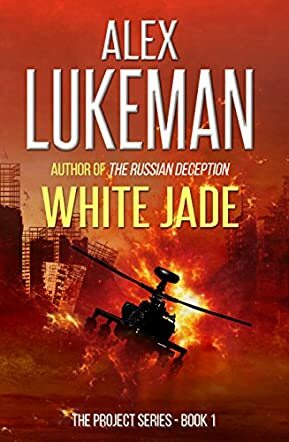 White Jade by Alex Lukeman is a thriller featuring Nick Carter, a former Recon Marine, now working for the PROJECT, a covert counter-terrorism unit. Selena Connor is a beautiful linguist specializing in oriental and ancient languages. When her wealthy uncle, a close friend of the President, is murdered by someone searching for a book said to contain the secret to immortality, Nick is teamed up with Selena to recover the book. They are pursued by a Chinese General, who wants the book at any cost. Nick and Selena manage to locate the book, despite several attempts on their lives, and discover that one of the ingredients for the immortality elixir can be used to build nuclear weapons. Realizing the Chinese not only want the book, but want to start a war, they and a small PROJECT team race to find the location of the elixir before the terrorists do. I really enjoyed the complexities of this book. It is a thrill ride for sure! The plot of White Jade is fast moving and intense as the main characters race across the country and overseas, trying to stay one step ahead of the enemy. The hero of the book is well-developed with an interesting back story. The romance between Nick and Selena was nicely developed as they fight their attraction to one another in the midst of danger. The ending was satisfying, and made me want to keep reading about the characters. I'm definitely hooked and I look forward to the rest of the PROJECT series by Alex Lukeman.